In 1988, serial killer John Norman Collins gave a television interview from Marquette Branch Prison in Michigan's Upper Peninsula. Years before Ted Bundy, Collins was luring young women to slaughter. From the summers of 1967-1969, Collins murdered a minimum of seven women and left them along the country roadside terrorizing residents in the college towns of Ypsilanti and Ann Arbor. On July 31, 1969, Collins was arrested for the murder of Eastern Michigan coed Karen Sue Beineman. 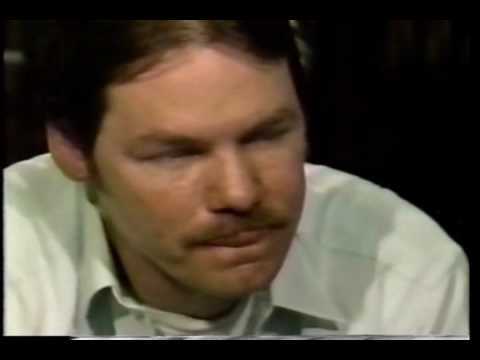 In my nonfiction account of these murders Terror in Ypsilanti: John Norman Collins Unmasked, I reveal the backstory of this rare Kelly & Company [Detroit morning talk show] interview interspersed with commentary by people associated with these cases. John Kelly hosted the studio portion of the show and his co-host [wife] Marilyn Turner flew up to Marquette Prison to conduct the prison interview. All of Collins appeals had run out and his attempt at an international [Canadian] prisoner exchange failed. This was Collins's last chance to take his story to the public and make his case that he was railroaded by an overzealous prosecutor and a rogue county sheriff. Collins was in control of the interview until Marilyn Turner blindsided him with "Did you love your mother, John?" With that single question, Turner cut through his self-protective stratagems. For the rest of the interview Collins was sullen and disoriented. When the studio audience was polled at the end of the show, votes ran 2 to 1 against Collins. John's roll of the dice to manipulate the media came up snake eyes. 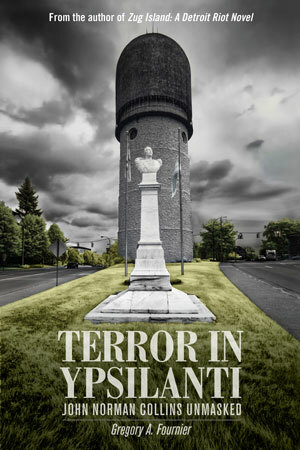 Terror in Ypsilanti: John Norman Collins Unmasked true crime book: gregoryafournier.com also available on Amazon, B&N, and other online booksellers. A Kindle edition will be available soon. It takes a couple of weeks for a new title to work its way into the system. 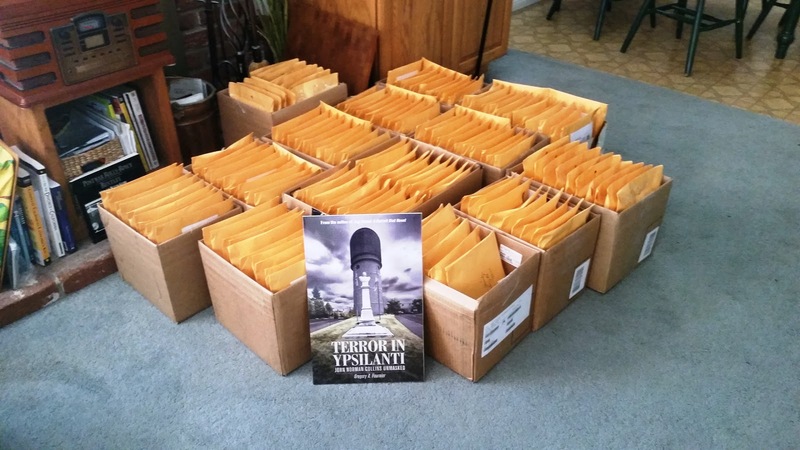 On Friday, August 12th, I took shipment of 500 copies of Terror in Ypsilanti: John Norman Collins Unmasked. Readers who have been waiting weeks for their copies should expect their books in the mail this week. I spent Friday and Saturday getting them ready for USPS pickup on Monday. I would like to note that TIY is made in America. It has been said "Body odor and excuses--everybody's got some." When my book was sent to the printer, it went on their printing schedule. The contract states in small print that orders of 500 or more copies take a minimum of two weeks. There you have it. Now that I have inventory, future wait times for shipment should be no more than a week. For people wanting to purchase multiple copies, amazon.com will save you postage, especially if you have Amazon Prime. A Kindle edition will be available anytime soon. It takes a couple of weeks for a new title to work itself into the Amazon network. The book lists for $22.95 on Amazon and $9.95 on Kindle. For bulk order discounts, contact Wheatmark.com. Autographed copies are available on my website gregoryafournier.com for a limited time. 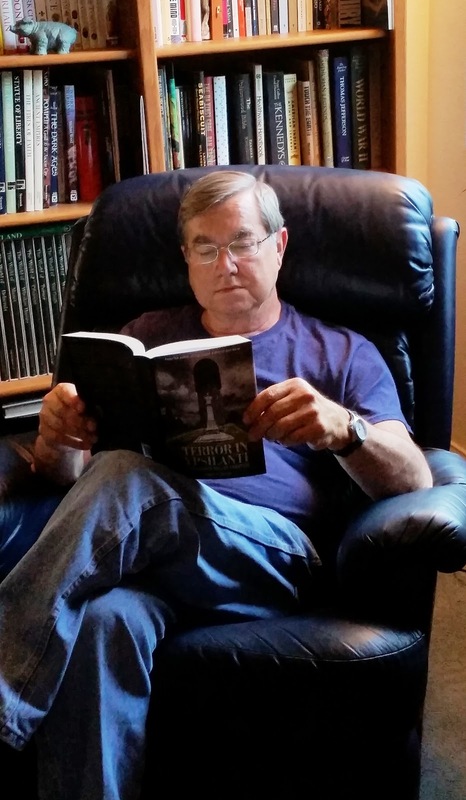 If you are so inclined, run a photo of yourself with a copy of TIY and post it on your social media. That would help spread the word about my book. Writing a review for Amazon or goodreads.com would be most appreciated as well.